Price per person: $ 15 USD. 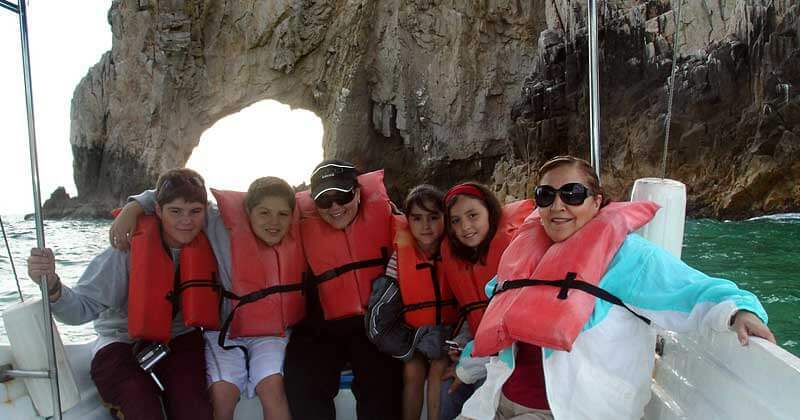 A breathtaking easy going tour in Cabo San Lucas! 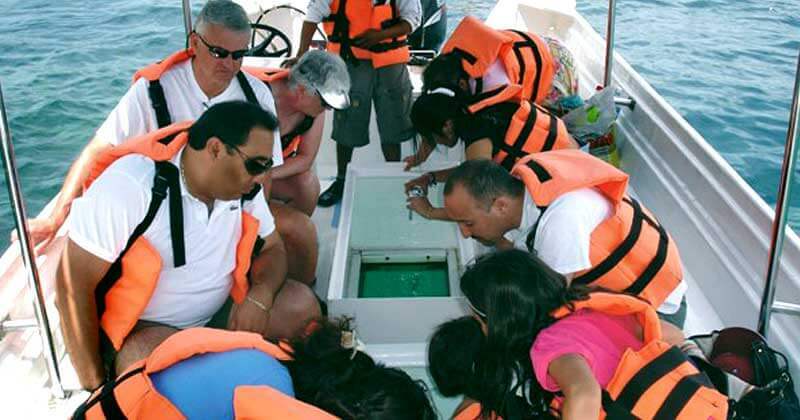 Taking Glass Bottom Boat Tours in Cabo with us, is like those "Relaxation Tapes" you can listen from time to time to imagine a nice experience; except, this is for real! Plus, the breeze actually gets you a little wet and cool! At Rancho Tours we enjoy so much offering this tour to you and all our clients, because we know you will have a great experience. Nothing like salty, fresh wind with a beautiful landscape as a background. 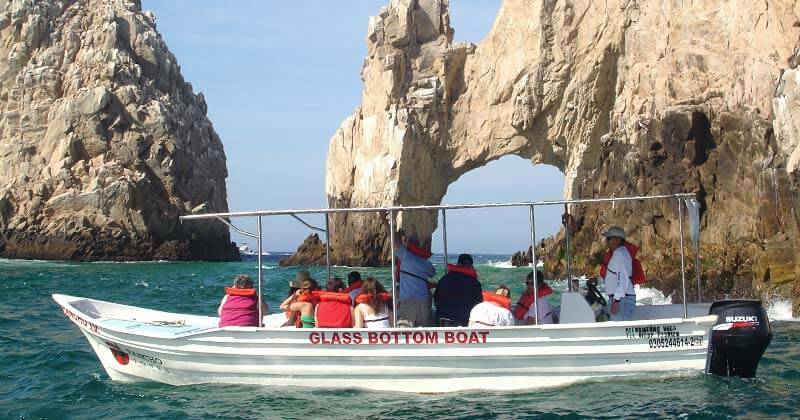 During this tour we'll visit the famous rock formation at Land's End "The Arch" and we'll also visit the Sea Lion's Colony, The Pelican Rock, Neptune Finger, Lover's and Divorce Beach. Look at the banks of fish that swim under our boats with the clear glass bottoms we have installed in them. We will also enjoy great views from distance from a famous residential area at Pedregal's hill-mountain, located by the Pacific Ocean side. 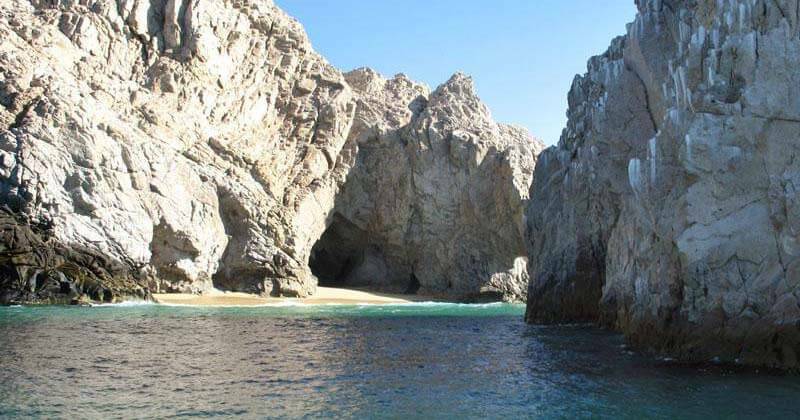 A Cabo San Lucas bay view can be appreciated on the return to the marina. Glass Bottom Boat tours are scheduled to departure every hour, once the tour is over, you'll have the option to get off the boat and stay at Lover's Beach and Divorce Beach the time you want to enjoy a walk, go for a swim, or take a sunbath; then you can take back one of the boats later until the last trip we make. Caution: Swimming by the Pacific side at Divorce Beach is not allowed. Departure Times: Every hour from 9 AM. to 5 PM. 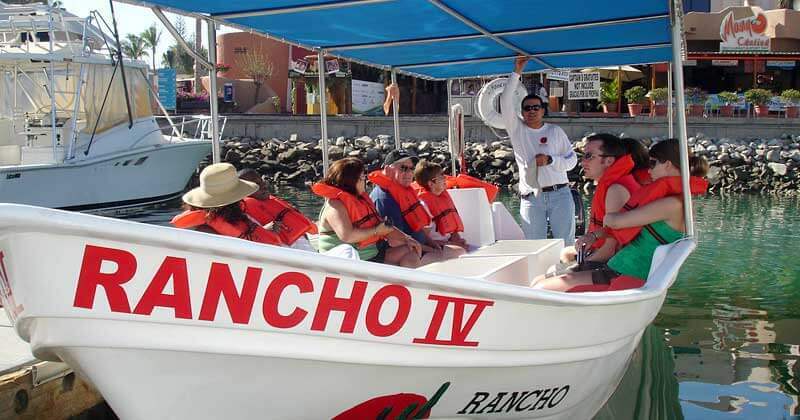 Departures from Marina Fiesta hotel Dock "A" at the Marina Cabo San Lucas - Please be 15 min. prior to duparture time.